Finalists in the 2018 (third annual) Stevie Awards for Great Employers, an international competition, were announced today. The awards recognize the world’s best employers and the human resources professionals, teams, achievements, and HR-related products and suppliers who help to create and drive great places to work. Among the organizations with the most finalist nominations are Benefex (United Kingdom), Deutsche Telekom Services Europe GmbH (Germany), ej4 (USA), Tata Consultancy Services (India), and Turkcell (Turkey). 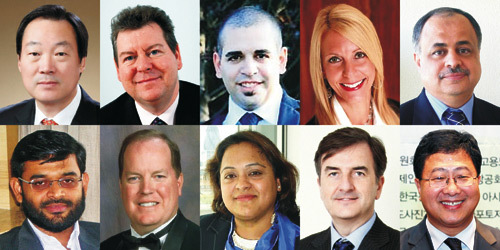 For a full list of finalists by category, visit www.StevieAwards.com/HR. All finalists will ultimately be named Gold, Silver, or Bronze Stevie Award winners. The placements will be revealed during a gala event on Friday, September 21, at the Marriott Marquis Hotel in New York City. Tickets are now on sale. The presentations will be broadcast live via Livestream. Stevie Award placements in the 35 Employer of the Year categories will be determined by a unique blending of the ratings of professionals and the votes of the general public. More than 24,000 votes were cast by members of the public for their favorite employer this year. The awards are presented by the Stevie Awards, which organizes several of the world’s leading business awards shows including the prestigious International Business Awards® and American Business Awards®. The Stevie Awards has issued the call for entries for the third annual Stevie Awards for Great Employers, which honor the world’s best companies to work for and the human resources teams, professionals, suppliers, and new products and services that help to create and drive great places to work. All individuals and organizations worldwide—public and private, for-profit, and non-profit, large and small—may submit nominations to the Stevie Awards for Great Employers. The early-bird entry deadline, with reduced entry fees, is May 2. The final entry deadline is June 6, but late entries will be accepted through July 18 with payment of a late fee. Entry details are available at www.StevieAwards.com/HR. An international judging panel of more than 50 executives will determine the Stevie Award winners. Finalists will be announced on August 15. Gold, Silver, and Bronze Stevie Award winners will be revealed and presented their awards at a gala event in New York City on September 21. 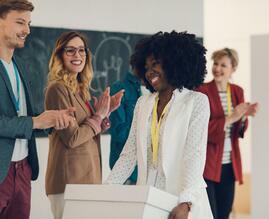 Winners in the 35 industry-specific Employer of the Year categories will be determined by a unique blend of public votes and professional ratings. Public voting will take place from July 23–August 12. 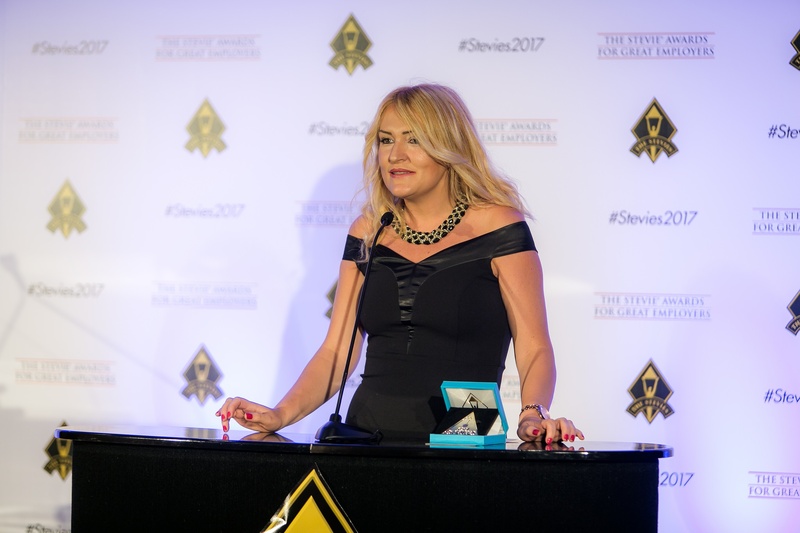 Stevie Award winners in 2017 included Ad Exchange Group, Deutsche Telekom Services Europe GmbH, Gamelearn, Grubhub, IBM, KIND LLC, McAfee, Migros Ticaret A.S., Samsung Electronics Turkey, Wayfair, Workiva, and Yerra Solutions. Finalists in the 2017 (second annual) Stevie® Awards for Great Employers, an international competition, were announced today. The awards recognize the world’s best employers and the human resources professionals, teams, achievements and HR-related products and suppliers who help to create and drive great places to work. A diverse group of organizations and individuals around the world are among those recognized. The leader among finalists is Migros Tic. A.S. of Istanbul, Turkey. A leader in the Turkish retail sector, the company has 14 finalist nominations, including 10 for individual training programs or media. Another Turkish organization, the Istanbul Gas Distribution Co. (IGDAS), is close on their heels with 12 finalist nominations. ej4, the American video e-learning company, is next on the list with seven. Organizations with four finalist nominations include Arkas Holding (Turkey), Ceridian (USA), GSoft (Canada), Merchant e-Solutions (USA), Samsung Electronics Turkey, TOFAŞ (Turkey) and Turk Telekom (Turkey). Those with three finalist entries include BenefitMall (USA), Creative Lodging Solutions (USA), Eczacıbaşı Holding (Turkey), Ford Otosan (Turkey), G&A Partners (USA), Genentech (USA), INNOVA BILISIM COZUMLERI A.S. (Turkey), McAfee (USA), New World Development Company Limited (Hong Kong), Roth Staffing Companies (USA), Tata Consultancy Services (USA), UST Global (USA) and VESTEL (Turkey). All finalists will ultimately be named Gold, Silver or Bronze Stevie Award winners. The placements will be revealed during a gala event on Friday, September 22 at the Marriott Marquis Hotel in New York City. Tickets are now on sale. The presentations will be broadcast live via Livestream. Stevie Award placements in the 35 Employer of the Year categories will be determined by a unique blending of the ratings of professionals and the votes of the general public. More than 29,000 votes were cast by members of the public for their favorite employer this year. The awards are presented by the Stevie Awards, which organizes several of the world’s leading business awards shows including the prestigious International Business Awards and American Business Awards. The Stevie® Awards is accepting entries for the first annual Stevie Awards for Great Employers, which will honor the world’s best companies to work for and the HR teams and professionals, HR achievements, new products and services, and suppliers that help to create and drive great workplaces. The final entry deadline for the Stevie Awards for Great Employers has been extended to Wednesday, August 10. Today we will highlight the Solution Provider Categories—the categories that recognize the achievements of the providers of solutions that help to create and drive great places to work. a. An essay of up to 625 words describing the nominated organization's achievement since the beginning of 2015. Focus on achievements since that date. Make reference, where appropriate, to supporting materials attached to your entry that support your claims. b. Summarize in up to 10 bullet points (up to 150 words) the chief accomplishments of the nominated organization since the beginning of 2015.
c. Add to your entry up to 10 webpage links and up to 10 document uploads to support your case to the judges. These might be press articles, press releases, videos, work samples, internal or external reviews, or employee feedback, for example. Recognizing the achievements of providers to the industry of solutions for diversity services, management consulting, outplacement, outsourcing, and relocation, among others. Recognizing the achievements of providers to the industry of solutions for arbitration/mediation/dispute resolution, awards and motivation, employee engagement, performance appraisal and management, and employee surveys, among others. Recognizing the achievements of providers to the industry of solutions for cultural awareness/cultural competence, global employment law, global outsourcing, and global relocation, among others. Recognizing the achievements of providers to the industry of solutions for drug and alcohol treatment or testing, health promotion, recreation, safety, security, or wellness, among others. Recognizing the achievements of providers to the industry of solutions for human resources-related systems, software or analytics. Recognizing the achievements of providers to the industry of solutions for assessment tools, certificate programs, distance learning, leadership development, or training materials, among others. Recognizing the achievements of providers to the industry of solutions for applicant assessment or tracking, background investigations, executive search, recruitment, recruitment advertising, or temporary staffing, among others. Recognizing the achievements of providers to the industry of solutions for child or dependent care, insurance, pensions/retirement benefits, and wage and salary administration, among others. 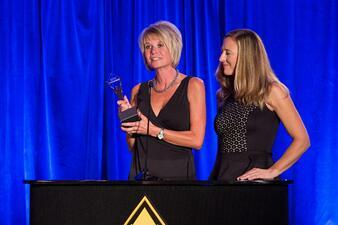 An international judging panel of nearly 100 executives will determine the Stevie Award winners. Finalists will be announced on August 17. Gold, Silver and Bronze Stevie Award winners will be announced at a gala event in New York City on September 30. The Stevie® Awards, organizer of the world’s premier business awards, announced today that the final entry deadline for its new Stevie Awards for Great Employers has been extended to Wednesday, August 10. The Stevie Awards for Great Employers will honor the world’s best companies to work for and the HR achievements, teams and professionals and human resources-related products and suppliers that help to create and drive great workplaces. “We’ve received so many requests for individual deadline extensions that we’ve decided to extend the deadline for everyone,” said Stevie Awards president Michael Gallagher. The original final deadline was July 20. Gallagher also stated that there will be no additional late fees for entries submitted through August 10, and late entries will not be penalized in the judging process. Individuals and organizations worldwide—public and private, for-profit and non-profit, large and small—may submit nominations to the Stevie Awards for Great Employers. The 2016 awards will honor achievements since the beginning of 2015. Entry details are available at www.StevieAwards.com/HR. Stevie Award winners in the 34 Employer of the Year categories will be determined by a unique blending of the ratings of professionals and the votes of the general public. Public voting is open now through August 10 at http://stevies-sage.secure-platform.com/a/gallery?roundId=1. Other Stevie Awards programs such as The American Business Awards and The International Business Awards do offer New Product & Service categories, but the categories we will highlight today are specifically for the best HR products and services. This is one of the larger category groups in the Stevie Awards for Great Employers. No other competition offers these category varieties. These categories recognize specific achievements - individual, team, or organizational - since the beginning of 2015.
a. An essay of up to 625 words describing the nominated product or service: its benefits, features, functions, and sales results to date. b. Summarize in up to 10 bullet points (up to 150 words) the chief benefits, features, and functions of the nominated product or service. c. Add to your entry up to 10 webpage links and up to 10 document uploads to support your case to the judges. These might be press articles, press releases, videos, or images, for example. May be blended, instructor-led, microlearning, video or web-based. Other Stevie Awards programs such as The American Business Awards and The International Business Awards offer one human resource individual category, but the Stevie Awards for Great Employers now offers 15 categories for HR professionals. Today we will highlight the HR Individual categories in the Stevie Awards for Great Employers. These categories recognize the achievements of individual professionals since the beginning of 2015.
a. An essay of up to 625 words describing the nominated individual's achievement since the beginning of 2015. Focus on achievements since that date. Make reference, where appropriate, to supporting materials attached to your entry that support your claims. b. Summarize in up to 10 bullet points (up to 150 words) the chief accomplishments of the nominated individual since the beginning of 2015. Recognizing the top organizational executives who best demonstrate a commitment to making their organizations great employers. 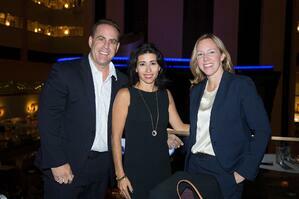 Recognizing the achievements of organizations' top human resources executives. Recognizing the achievements of executives who focus on the happiness and wellbeing of organizations' employees. Recognizing the achievements of executives who focus on the training and skills- and knowledge-advancement of organizations' employees. Recognizing the achievements of HR executives at the VP level or higher. Recognizing the achievements of individual professionals in benefits or payroll administration. Recognizing the achievements of individual professionals in the design and delivery of compliance and workplace safety programs. Recognizing the achievements of individual employee relations professionals. Recognizing the achievements of individual professionals in HR systems development, installation, and maintenance. Recognizing the achievements of non-executive HR professionals. Recognizing the achievements of individuals who specialize in internal communications. Recognizing the achievements of individual professionals in training or corporate learning. Recognizing the achievements of individual professionals who work in new employee orientation and assimilation. 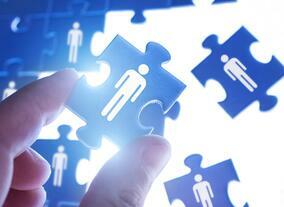 Recognizing the achievements of individual recruiters. 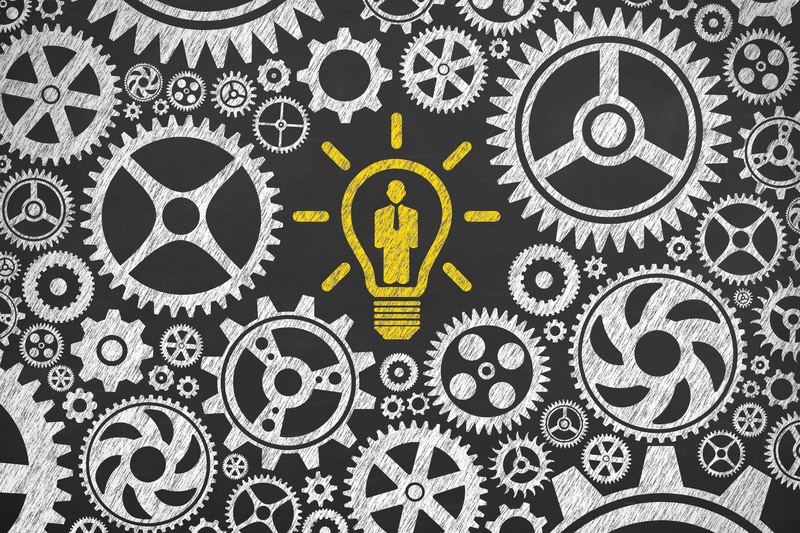 Recognizing the achievements of individual technical recruiters. Other Stevie Awards programs such as The American Business Awards and The International Business Awards offer human resources categories, but The Stevie Awards recognized the need for more specific HR awards categories. Today we will highlight the New Product & Services categories in the Stevie Awards for Great Employers.This is the first time these categories are availble for HR-related products and services. REQUEST THE ENTRY KIT HERE. The New Product & Services categories in the Stevie Awards for Great Employers will recognize software, training programs or media, and curated training platforms. See entry requirements and all of the categories offered below. Other Stevie Awards programs such as The American Business Awards and The International Business Awards have human resources categories, but The Stevie Awards recognized the need for more specified HR awards categories. Today we will highlight the HR Achievements categories in the Stevie Awards for Great Employers. No other competition offers these category varieties. The early-bird entry deadline with reduced entry fees is Wednesday, May 4.
a. An essay of up to 625 words describing the nominated achievement(s). Describe for the judges the genesis, development, deployment, and results of the achievement(s) to date. Summarize in up to 10 bullet points (up to 150 words) the chief features and results of the nominated achievement(s). Add to your entry up to 10 webpage links and up to 10 document uploads to support your case to the judges. These might be press articles, press releases, videos, work samples, internal or external reviews, or employee feedback, for example. Recognizing notable single achievements, or a series of achievements, related to benefits design and/or administration since the beginning of 2015. Recognizing notable single achievements, or a series of achievements, related to compensation program design and/or administration since the beginning of 2015. Recognizing notable single achievements, or a series of achievements, related to workplace or workforce diversity and/or inclusion since the beginning of 2015. Recognizing notable single achievements, or a series of achievements, related to employee engagement or motivation since the beginning of 2015. Recognizing notable single achievements, or a series of achievements, related to employee relations since the beginning of 2015. Recognizing notable single achievements, or a series of achievements, related to the design, development, deployment, and/or administration of HR-related systems or technologies since the beginning of 2015. Recognizing notable single achievements, or a series of achievements, related to the administration of an organization's total HR organization since the beginning of 2015. Recognizing notable single achievements, or a series of achievements, related to internal communications programs or campaigns since the beginning of 2015. Recognizing notable single achievements, or a series of achievements, related to the onboarding, assimilation, and training of new employees since the beginning of 2015. Recognizing notable single achievements, or a series of achievements, related to an organization's new-employee or executive recruitment efforts since the beginning of 2015. Recognizing notable single achievements, or a series of achievements, related to workforce learning or training since the beginning of 2015. Recognizing the design of workplaces that promote engagement, productivity, and employee wellbeing. There is no eligibility timeframe for this category - it doesn't matter when the workplace's current design or configuration was established. Recognizing notable single achievements, or a series of achievements, related to an organization's efforts to promote and protect workforce health and wellbeing since the beginning of 2015. Recognizing notable single achievements, or a series of achievements, related to an organization's programs to promote workforce compliance and workplace safety since the beginning of 2015. Earlier today we announced the winners of the Grand Stevie Awards - see that announcement here. This year's final judging was conducted online from July 29 through August 7. The final judges' average scores determined the Stevie Award placements, based on the IBAs' judging and awards process. The awards will be presented to winners at the 10th annual awards banquet of The International Business Awards on Monday, October 14 at the W Hotel in Barcelona, Spain. Tickets are now on sale.